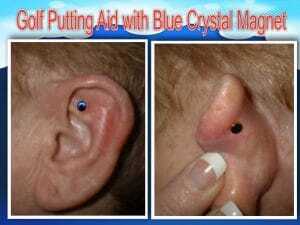 Auricular Golf Focus Bio-magnets are placed on the Shen Men area of the left ear. 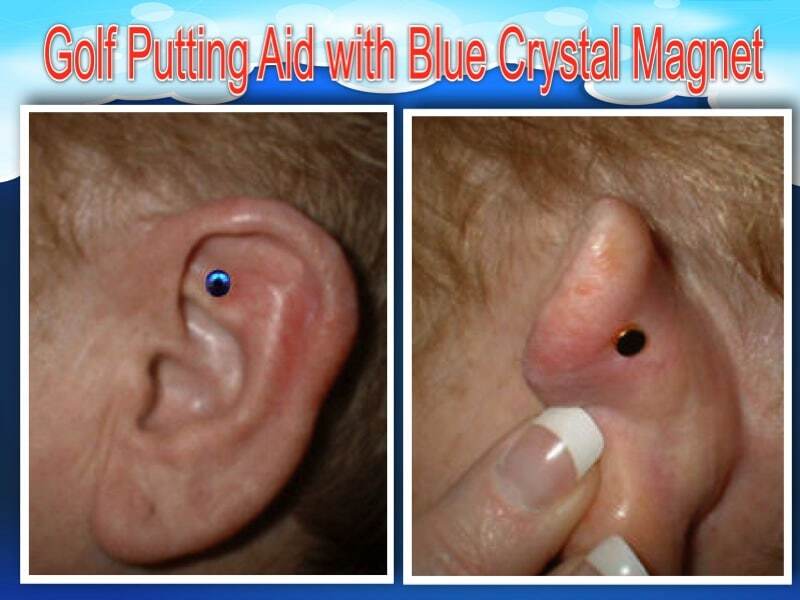 These small magnets are worn on the upper left ear, provide the gentle yet precise pressure to stimulate specific nerve points in the person’s ear. By applying this gentle acupressure, these magnets induce the production of the neurotransmitter dopamine in the brain. Dopamine is a natural chemical produced by the human brain producing feelings of calm, pleasure, satisfaction and confidence.